It feels like Monday today. 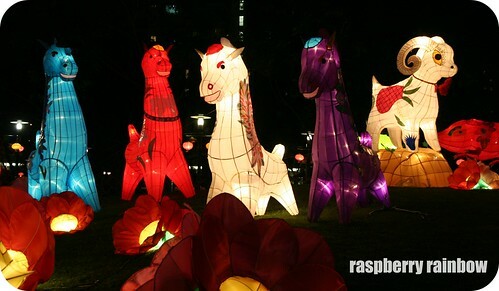 We have just had a lovely 4 day, long weekend here in Hong Kong, celebrating the Mid-Autumn Festival and National Day. 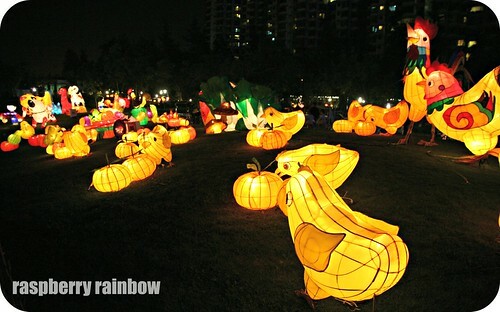 The Mid-Autumn Festival is an ancient harvest moon festival. 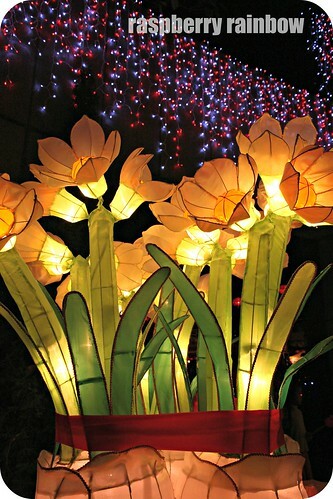 It is also known as the Lantern festival and many lantern displays can be found all over Hong Kong during this celebration. 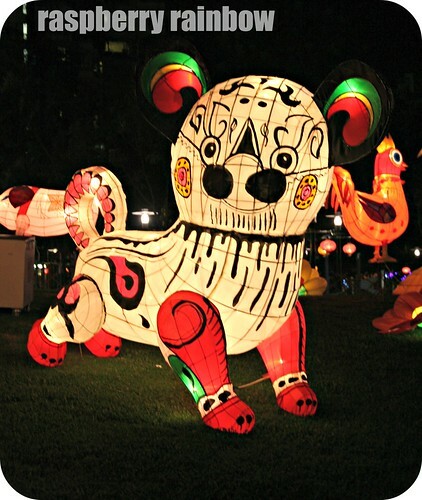 Here are some photos I took during the festival, on two separate nights in two different locations. 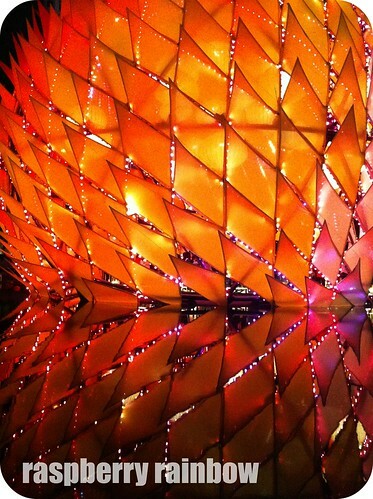 The lanterns are quite amazing. I just love the attention to detail and the scale of these lanterns (some are HUGE). 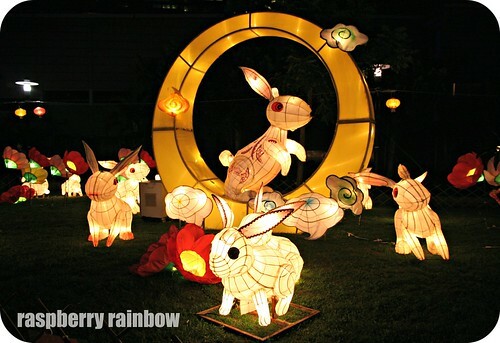 We had so much fun walking around them, it was a great atmosphere, with everyone admiring them. They really are so beautiful. 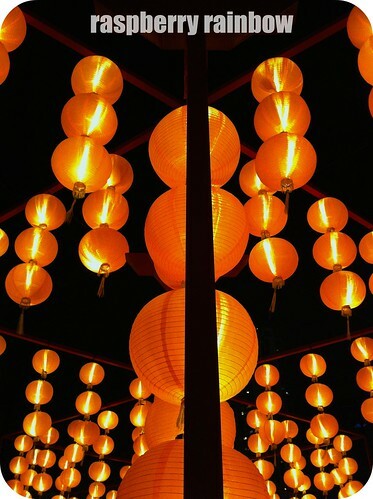 In the photo above, the real full moon is looking very tiny, overlooking the very large Golden Moon lantern. 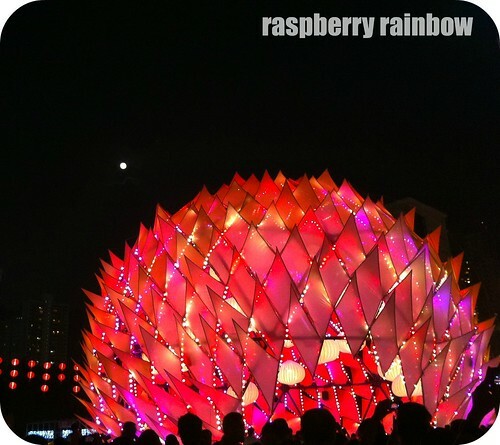 This was spectacular, as it changed colour with pulsating lights, I hardly wanted to take my eyes off it, it was mesmerising. I need to keep reminding myself it is really Wednesday today. It is not Monday. Long weekends can do that to you. Have a great day. They are amazing. 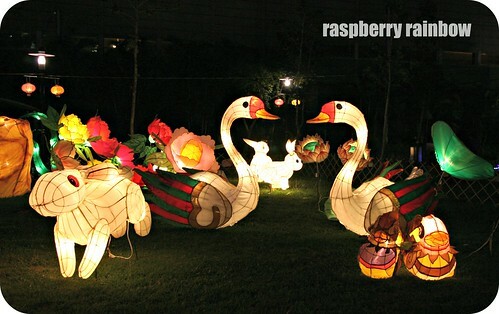 I think this must be the festival my son was telling me about in Taiwan, where they light lanterns and put them on the lake there and they make a sea of lights..they were going to take part this year.